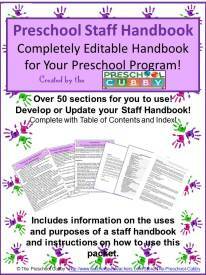 What are the Preschool Board Responsibilities in YOUR Program? 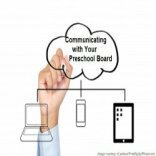 Preschool Board responsibilities vary depending on your type of Board and your program’s needs. The responsibilities are not set in stone. There is ONE responsibility that should be on the list for EVERY board: Supporting the preschool program and its mission! In a previous article, Assessing Preschool Boards, we talked about Organizational Boards VS Operational Boards. 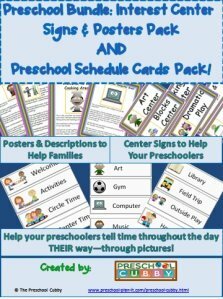 If you have an Organizational board, the responsibilities of your board members will be focused on gathering information and setting up your Preschool Program. In this stage, each member will be setting up his or her area of specialty for your program such as legal advice for setting up a business; applying to state and local licensing, health and fire agencies for licenses and permits and the like. For the purpose of this article, we will be talking about the board responsibilities with regard to supporting your program as an Operational Board. The responsibilities assigned will either be based on the title of each member within the board or assigned based on each member's skill and/or passion. 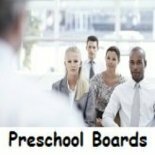 Many Preschool Boards will have officers with specific titles on the Board of Directors. The most common are chairperson, vice-chairperson, secretry and tresurer. The Board, most often, will have other members as well with no official title. The chairperson oversees the board meetings. This person is responsible to keep the board current about any information regarding the preschool. This requires the chairperson to be in touch with the Preschool Director on a regular basis throughout the year. 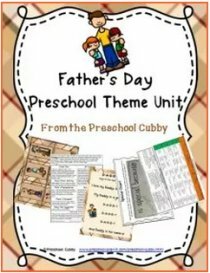 The chairperson is typically responsible for creating an annual report about the preschool program to present to the church or presiding body. 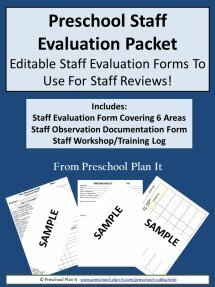 This report is sometimes written with the input from you, the Preschool Director. Sometimes this report is created BY you and given to the Chairperson to present. The vice-chairperson has two purposes. The first is to perform the duties of the Chairperson in the event the Chairperson can not do so. This would include running a meeting in the chairperson's absence or taking over for the Chairperson should they, for whatever reason, step down from serving on the board. The second is to step into the role of Chairperson when the chair's term is completed. This allows for continuity within the board. The Secretary is the person responsible for preparing the agenda and any documents needed for upcoming meetings. He or she will also type up minutes (the discussions and decisions that take place during the meetings) from the meetings. The Treasurer is responsible for keeping the financial records of the preschool program in order. They will look at income and expenses of the program and compare them to projected budgets. He or she is also responsible for approving and/or issuing checks needed for the program. These needs range from supplies and other expenses as well as payroll. The Treasurer is then responsible to report this information at the meetings. The Treasurer is typically the Treasurer of the Church or of the overseeing body. With regard to tuition, many times the Treasurer is responsible for sending out notices when a family is late in paying tuition. 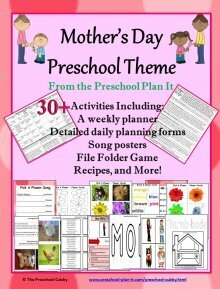 In the programs I have worked in, that responsibility was mine as the Preschool Director. My responsibility was to let the Board know when a family was behind on tuition and what actions were taken. In the case where a decision regarding enrollment needed to be made based on lack of payment, the Board and I worked together to decide whether to either extend a hardship scholarship or pend enrollment. These are the primary four officers of a typical Board of Directors for a Preschool Program. Other officers or members may be added or elected as needed, based on the needs of the program. These might include a marketing officer or a specific person or persons who focused solely on the budget. This type of Board is a more informal one. There will be a Chairperson but possibly not other official titles. 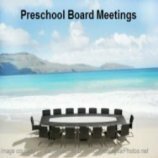 The members of this Preschool Board will have specific tasks based on the needs of the preschool program and, therefore, the responsibilities will vary. Marketing: Distributing marketing flyers at local businesses; Having a presense at local events (such as summer gatherings and events); Advertising in the local newspapers; etc. Budgeting: Looking at the budget each month and comparing the income and expenses to that budget. Policy Setting: This person will be familiar with the State Licensing AND the Program Policies. When an issue arises, the Preschool Director can call this person to discuss and resolve the issue. There may be several people assigned to different areas of Policy Setting such as a person to oversee Staff Policy, one to oversee Parent Policy, etc. Property Issues: This person will be responsible for the physical space your program is in. They might take care of required annual water testing; heat/ac concerns; testing of fire and CO2 alarms; testing of emergency/back up lighting; playground safety (including mulch in the playground) and other items that need to stay in compliance with local or state regulations. Although you, as the Preschool Director, will most likely be a non-voting member of the Board, you are INSTRUMENTAL in the helping the board to remain current and informed about the program! 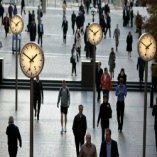 Your responsibilities are more than just showing up for the meetings! I would suggest talking with the Chairperson prior to the meeting and adding items to the agenda! Which items? Well, that will all depend on what your needs are! Do you need to increase enrollment? Ask for help in marketing. Does your mulch need to be topped off in the playground (most states have regulations regarding how deep it needs to be)? Research some prices and send that info to the chair for the agenda. Is it time to test your water supplies? Is there a large ticket item you'd like to add to your program? Suggest it as a wish list item (perhaps someone on the board has skills in writing grants?). This is just a sampling of ideas. We'll discuss meeting and meeting agenda items in the next article! The most important responsibility of each preschool board member is to keep the vision, purpose and mission of your ministry or program front and center. Every decision that is made in the program should have this as the center. The second most important responsibility is: TO MEET REGULARLY! 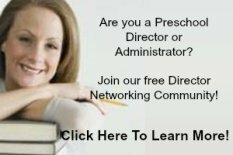 Without regular communication between the Board and the Preschool Director, the program can become stagnant and, as a Director, you will feel isolated and on your own. Want to know what to cover in meetings with your board? Click Here to go to my Tips for Effective Board Meetings article.